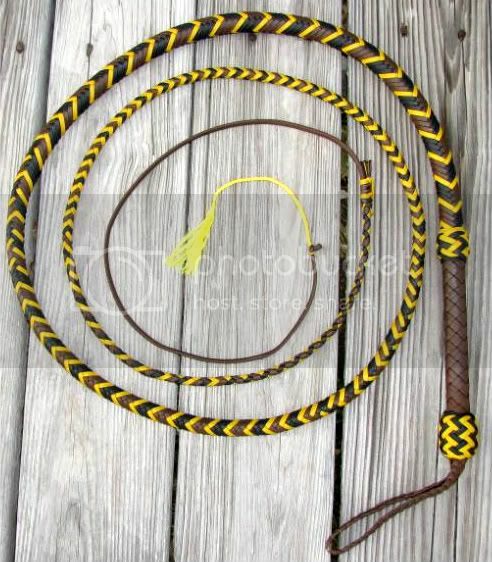 I want to show off a bullwhip I just finished. It’s an 8ft, 16 plait bullwhip; the first bullwhip I’ve made in which the overlay on the handle is made separately from the overlay on the thong. I had to do this in order to make the grip solid chocolate in color. This technique is something I had wanted to try for a while and I finally got a chance to do it on this order. It was a bit more work to accomplish this, but not very difficult at all. This skill will come in handy when I get time to make a “Young Indy” bullwhip. 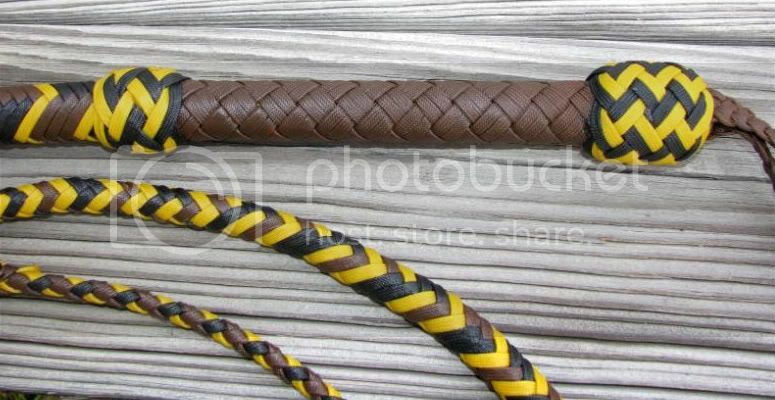 Remember: 10% off all new bullwhip orders until the end of July! This entry was posted on Tuesday, July 14th, 2009 at 7:23 pm	and posted in bullwhips, nylon whips, Whips. You can follow any responses to this entry through the RSS 2.0 feed.